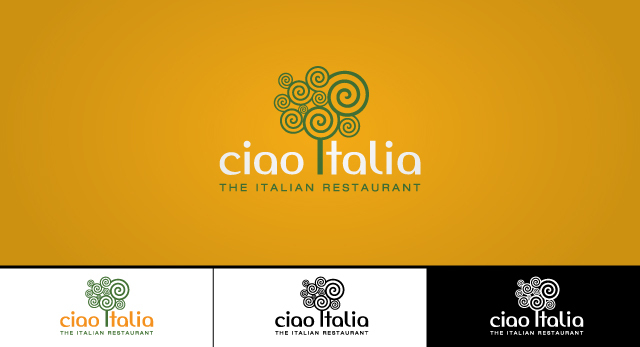 Ciao Italia is a bright and breezy restaurant offering a great experience with a sense of fun. We based the logo around a cheeky lowercase san serif font that immediately expresses a down-to-earth, unpretentious tone. We then integrated a swirl-like icon into the logo that gives a sense of energy and zest. Finally we chose a bright, refreshing colour palette of green, orange and white.